Today 15 May 2018, is being recognised across the Organisation of Eastern Caribbean States (OECS) as Climate Change Day. This designation is as a result of the OECS and the UNFCCC entering into a partnership that focuses on communication and awareness surrounding climate change and the Conference of Parties (COP) meetings. 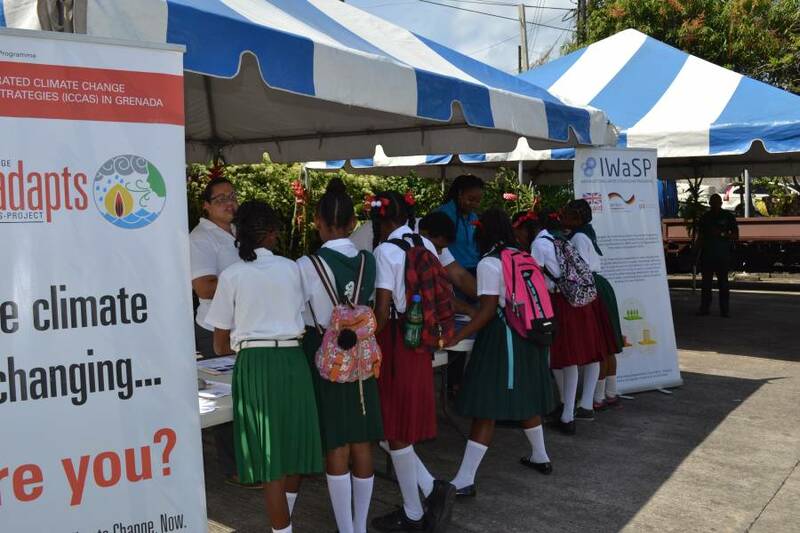 This year’s focus on raising awareness in schools within the OECS is seen as an opportunity to heighten climate change awareness among young people whose future existence is seriously being impacted by climate change. In Grenada, our tourism and agriculture sector are key in revenue generation and have already been impacted by changes in rainfall timing, duration and intensity, seasonality shifts, storm surge and erosion to name a few impacts. This in turn can affect our food security and our foreign currency earning capacity. To address these issues, everyone needs to play a part in climate resilience action! The Environment Division has a number of activities planned, including our minister’s address, live interviews, school visits, press releases, and a workshop and a call to community groups to plan activities to raise awareness on climate change resilience action taking place. Under the ICCAS project, the Environment Division has been proactive for some years already to raise awareness about climate change among the youth. A climate change curriculum was developed and teachers trained to deliver the lessons to the children of primary schools around Grenada, Carriacou and Petite Martinique. Several other school activities have taken place, especially involving the 4H groups with the implementation of climate smart agriculture practices and rain-water harvesting systems. Two children books and a mobile app was also developed and distributed to schools around the island. Finally a song and video “Can’t do it alone” was produced and aired on radios nationwide. The key message is climate change is real and we must become resilient to the impacts affecting our small island states now. Changes made now will have a positive impact on our tomorrow!